Most times when I’m sitting down to watch a cricket match, the first two balls do it for me. The way the batsman meets the first ball gives me a fair idea of how the match is going to go. It doesn’t work all the time, and I’m not going to say, ‘IF IT DOESN’T WORK, I WILL SHAVE MY HEAD. JAI MATA DI’ or anything like that. But the first few minutes generally show the way. When Dedh Ishqiya begins, you know things have been set up nicely for you. 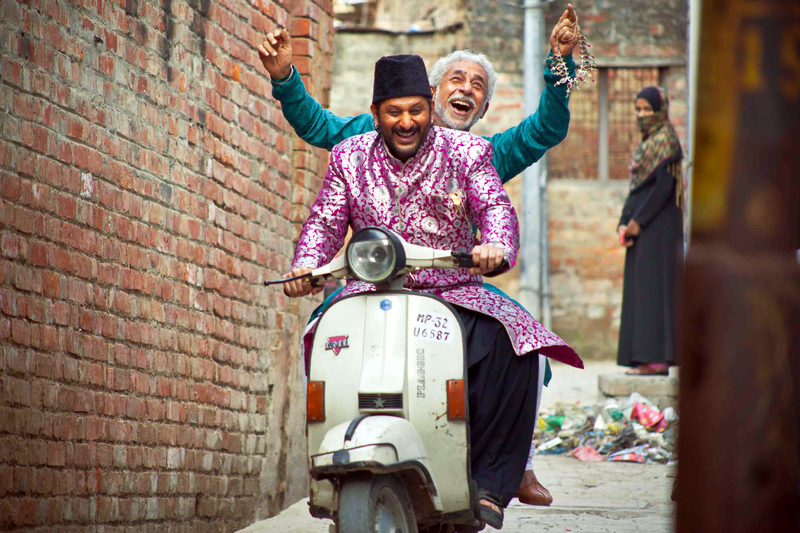 When I saw the trailers of Ishqiya a few years ago, I knew it would be a winner. The chemistry between Naseeruddin Shah and Arshad Warsi is such, that I wouldn’t be surprised if they suddenly broke into a rain song and kissed each other. There is something about Naseeruddin Shah. He shines when there are good actors around him. It’s like ‘Good Acting’ auras are bouncing off the room when he’s with someone who can act. His iconic pairing with Om Puri is testimony to this theory. When there’s a partner at the other end, Shah mutates into a fabulous, other-worldly magician. But when there is general morony happening, Naseeruddin Shah looks bored. Like in the last film I watched of his, John Day – there was something missing. It was like he had had three pegs and was frantically looking for the fourth, but someone was keeping it away from him. In Dedh Ishqiya, he has his work cut out, and neatly placed in piles in front of him. Thanks primarily to Arshad Warsi. 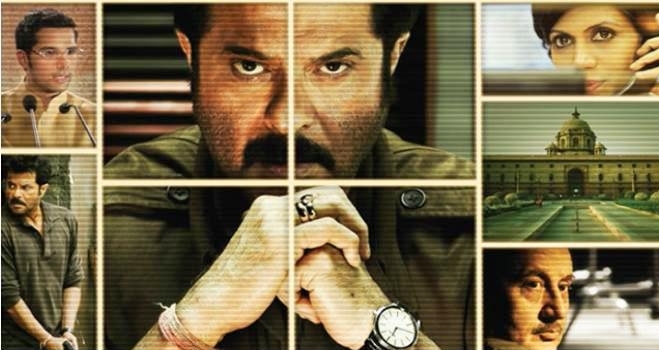 Playing the loud, rustic, vulgar Babban, Warsi begins the film like he had spent the last four years hanging around the sets, waiting for the sequel to come out. The stuff of Tushar Kapoor’s nightmares. Not a foot wrong, not an expression astray, Warsi manages to steal some screen presence even with Naseeruddin Shah at the other end. There is an edginess to him – like he could shoot your balls off while telling you a joke. And Warsi manages to remain that edgy person, not once coming off as vapid. And just when you’ve settled into your seat, and you’re smelling the food that you’ve ordered, pleased with its fragrance and taste, you discover that the chef has a surprise for you. By the name of Vijay Raaz. There are few moments in Hindi cinema, that can rival Vijay Raaz going batshit crazy on screen. Having perfected the pursed lips – say-what-you-want-I’m-going-to-slap-you expression, Vijay Raaz is an absolute delight. His frustrations with shayari, his frustration with his henchmen, and his frustration with the entire universe in general – has been squeezed out, drop for delicious drop. One needs to watch his duels with Naseeruddin Shah in the most enjoyable swayamwar in recent years, to know what I’m talking about. Which brings us to Madhuri Dixit. Madhuri Dixit, who had retired from films after marriage, had made a comeback with Aaja Nachle in 2007, but the audiences said ‘Nay nay’. Inspired by Yousuf Youhana, she retired again and made a comeback with Dedh Ishqiya. She still can dance, as the makers of the films leave no stone unturned in making sure you acknowledge. But as for her performance – so compelling are Warsi and Shah’s performances, that Madhuri Dixit is reduced to playing third fiddle. The real champion of the film, however, is Vishal Bharadwaj. India’s only true auteur, Bharadwaj, who has produced, written, done the screenplay, music, and written the dialogues, is in splendid form. The dialogues in the film crackle with life, lighting up what would otherwise have been ordinary moments. Unlike Bhansali’s films, where languages (English in Black, Gujurati in Raam Leela) seem to isolate you from the world being shown to you, the language in Dedh Ishqiya is inviting. You don’t understand much of it in the beginning, but so earnest seems the endeavor, that you want to strain yourself, in order to catch every word. The pastel coloured world of nawaabs and begums, the fading green walls, the large kitches, the servants attending to masters in their lawns – the world lights up like magic in front of your eyes. My only grudge with Dedh Ishqiya is that it plays itself out long enough to become a Dhai Ghantiya, but then we live in a country where a party comes to power, and people begin to criticise it within a week. Keeping such pretty complaints aside, Dedh Ishqiya is a mighty enjoyable film. If you watched Dhoom 3 and contributed to that shitfest that guzzled up 500 crores from our already fatigued economy, you owe this one to the institution of Cinema. Make up for that blunder. Go watch Dedh Ishqiya. This entry was posted in Film, Review and tagged Arshad Warsi, Dedh Ishqiya review, Naseeruddin Shah, Vijay Raaz on January 12, 2014 by . If you look at the journey of man, purely from the point of view of a Homo Sapien, you will find that the journey hasn’t been all that bad. We have evolved from cave-dwelling, club-wielding barbarians to people whose lives are a lot easier. In some ways, we are still spending our lives in providing for our food, clothing and cave, but one cannot deny that the journey has become smoother. Somewhere along the line, someone invented books, cars, and mobile phones. Someone or the other came up with all those little inventions that constitute our life today. We can predict some of the ways that nature will act in, and have invented medicines that cure most illnesses. Someone also fucked a chimpanzee somewhere in the timeline, but let’s focus on the good bits for now. If the Man of Today met the Man of the Cave, and the two of them sat down to talk, there will be some nostalgia involved. Some things will be laughed at, some appreciated, while some will be spoken of fondly. Like getting to mate with anyone you want, when the moon is full in the sky. Or sleeping in the afternoon. Sleeping in the afternoon is one of life’s stolen joys. Over the years, we have fashioned a life where sleeping in the afternoons doesn’t figure in the day anymore. It is left to the realm of the useless, the old, the children, and the drunkards. While work constitutes the majority of our day, anything else – a hobby, a passion, or other banal endeavors like pursuing members of the other gender – are left for the night. But where is the strength and the energy? How can you pursue any of it if you feel drained and weary? Taking a nap in the afternoon keeps you fresh. A lot of people say that sleeping after lunch makes you fat. That it is not good for your health. But unless it is manual labour that you’re involved in, I don’t see how it makes any difference. Sitting in front of the computer doesn’t really set your adrenaline rushing. You are groggy, heavy, and half –asleep anyway. On the other hand, taking the nap in the afternoon energises you, making you revitalizing you for the other side of you. A nice, sound nap in the afternoon is also of assistance when you want to drown out the madness of the day. Let’s face it, living can be problematic. India is not the most pleasant nation to live with anyway, but even if we were in the happiest nation in the world, living everyday life is a jigsaw of a thousand, chaotic, small requirements. Just surviving requires you to interact, to understand, to explain, to negotiate, to imbibe, decode, and transfer. But take a nap in the afternoon and see. Like an invisible blanket, everything fades out into a quiet, calming silence. The noise, the chaos, the need to understand and be understood – all of them float out of your body like smooth, smoky fumes for a few hours. You wake up purged, pure. Like a monk after hours of meditation. As your body adjusts to your naps, your body clocks operates accordingly. You make the most of your mornings, with the awareness that you have a few hours for yourself coming up. Even the most fiercest of storms at work cannot deter you, because you know that just for a few hours, you can lie back and think about things, till you’ve stopped thinking about things. A nap in the afternoon is a powerful feeling – it gives you the power to pause. To pause this maddening world that is sprinting. To hold the remote in your hands and pause it, and then rewind it, and play back the bits that you liked. It gives you the power to reduce everything else into a drone. Whether it is the noise of a train, the bustle of people, or the noise of a mosque, a factory, or a fishmarket, you can reduce it into nothingness– a noise in the background that can be neglected for a few hours – a wisp of reality. But most of all, a nap in the afternoon is a hidden indulgence. You are stealing away that time from the day. It is yours, a sinful, forbidden indulgence that no one can take away from you. And as you close the windows and pull the curtains, and your room is bathed in a light, dreamy shade, and the fan begins to whir in a steady rhythm, you know that in the next few hours, nothing can trouble you. The room is dark now, and the windows have been closed. The fan is rotating on its axis in a low, steady hum. I can hear a few voices from outside, but they don’t belong to my world. The voices have begun to fade away, as a few birds chirp in the distance. I am lying down on my bed, my feet covered by my blanket, and I wait for sleep to come and take me. This entry was posted in Arbit Gyan and tagged Laziness, Sleeping on January 3, 2014 by Hriday Ranjan.